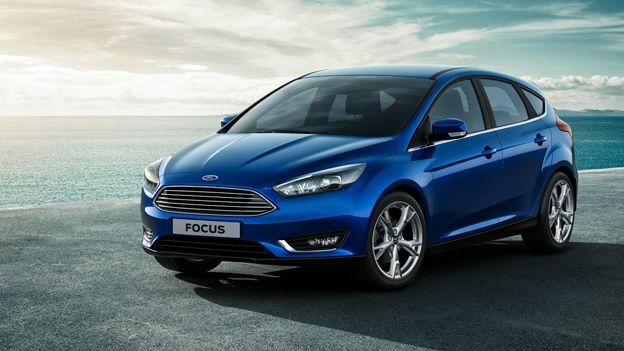 The new Ford Focus 2014 has made its debut at MWC 2014. This is Ford's most advanced Focus yet launching with SYNC 2, an 8-inch high-resolution touch screen and hands-free parking tech. Ford has today announced two new voice-controlled apps that will run with its SYNC 2 AppLink in-car technology. The two apps, Parkopedia and Aupeo! allow users to search for parking spaces and browse the radio respectively. Unveiled as part of the Mobile World Congress Show in Barcelona, the two apps add to the increasing voice functionality of Ford's SYNC 2 technology. Parkopedia enables searches by closest location or cheapest location and pulls information from a constantly updated database that covers 3,000 towns and cities in 20 countries across Europe. Meanwhile, Aupeo! allows drivers to search over 200 worldwide radio stations by artist, genre or period. Watch the video with Sync 2 at MWC 2014 below. Article continues after the video. SYNC 2 is a completely new version of Ford's in-car OS that uses intuitive voice-control to make calls, change music and control the navigation all without having to divert attention away from the road. One of the key updates is how you can talk to the car. SYNC 2 now lets you speak more freely rather than having to give specific commands, an example being that now you can simply say 'I'm hungry' and the car will intelligently find places to eat around you. All of this is viewed through a large 8-inch high-resolution touch screen display which shows navigation and media information. Perpendicular Parking is a brand-new technology that builds on Active Park Assist. Thanks to the addition of two new sensors at the back of the car you can now find a space, activate Perpendicular Parking then using the accelerator and brake let the car steer into the space for you. Thanks to the addition of the new sensors Ford has also included Cross-Traffic Alert which warns of incoming traffic when you're reversing. Finally Ford is introducing a new technology called MyKey. Aimed mostly at parents whose children drive their cars the owner can programme a key to either allow or restrict certain functions within the car such as limiting top speed, audio volume and the ability to turn off safety features. There's no word on pricing however Ford will be unveiling the new Focus at the Geneva Motor Show 2014 so stay tuned for more updates. The car will be available to buy in the second-half of 2014.